Attorney General Alan Wilson joins fight against offshore drilling and seismic testing. 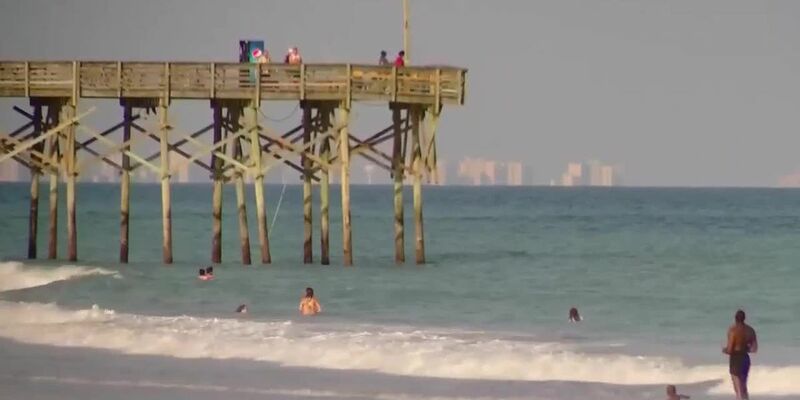 COLUMBIA, SC (WMBF) - South Carolina is joining a federal lawsuit opposing plans to conduct offshore drilling tests along the coast of the Carolinas. Attorney General Alan Wilson said he filed a motion in federal court Monday aimed at blocking planned seismic testing and offshore drilling. The motion is to join a lawsuit against the federal government filed by 16 South Carolina cities and towns and the state Small Business Chamber of Commerce. “Once again the federal government seeks to intrude upon the sovereignty of the state of South Carolina,” Attorney General Wilson said in a news release. “Such action puts our State’s economy, tourism and beautiful natural resources at risk. We are bringing suit to protect the State’s economy and the rule of law. According to the release, the federal government is planning to use seismic airguns to explore and evaluate thousands of square miles off the South Carolina coast looking for potential oil and gas reserves beneath the ocean floor. If reserves are found, offshore oil or gas drilling would follow. The lawsuit claims seismic testing would harm and could even destroy the coastal fishing industries in South Carolina. It also claims it could irreparably harm marine life and the communities relying on it. The release also says testing would violate the federal Marine Mammal Protection Act, the Endangered Species Act, the National Environmental Policy Act, and the Administrative Procedures Act. Wilson and the other plaintiffs want a federal judge to issue an injunction to prohibit testing, at least until there is an objective, comprehensive study of the impact of the testing on South Carolina’s environment and economy.